If you suffered a back injury at work, there are several steps you’ll need to take to abide by Iowa’s workers’ compensation laws. Your first priority is to seek care to stabilize your condition, protect your back from further injury, and treat the pain. Back injuries are one of the most common types of workplace injuries. In fact, over 180,000 workers seek medical care for work-related back injuries each year, reports the Bureau of Labor Statistics. Step one - Report the injury to your supervisor immediately. Delay could render you claim not compensable, so make sure you tell your employer about the incident and fill out a report. Step two: Seek medical care. You’ll need to visit a doctor, which your employer can choose. Step three: Adhere to the doctor’s orders. Don’t skip appointments and follow through with your treatments. Failing to do so could discredit your claim. 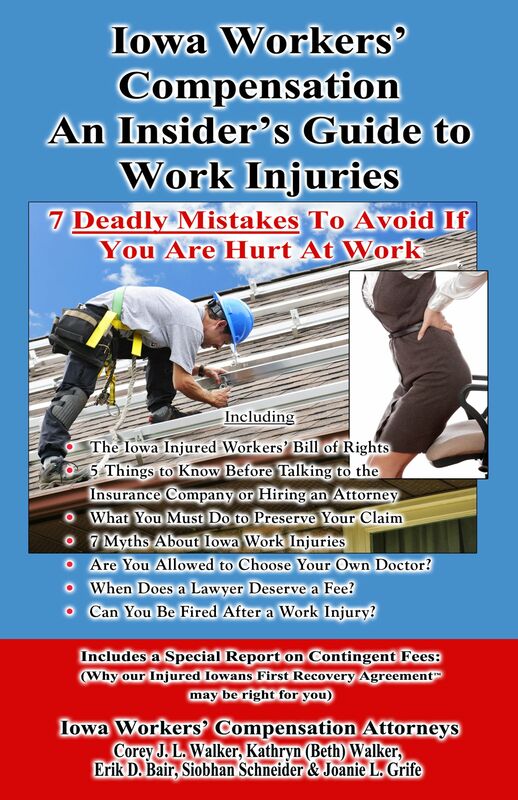 Step four: Learn about your workers’ comp rights and responsibilities. You’ll want to make sure you fill out the proper forms within the appropriate timelines and avoid doing anything that could threaten your benefits. Step five: Seek an attorney for counsel. If you feel your benefits are lower than they should be, or if your claim is wrongly denied, talk to an attorney to help you resolve the issue. Plus, there might be a possibility of additional compensation through a third party claim, so at least speak to a lawyer for a consultation. After a back injury on the job, if you need legal counsel in or around the Des Moines area, contact an attorney at Walker, Billingsley & Bair. Feel free to call us at (888) 435-9886 for a free, no-obligation consultation, and let us see how we may assist you with your workers’ compensation benefits.